International Convention Centre Sydney, Australia. On behalf of the local organising committee, I am delighted to invite you to Sydney for the 11th International Conference on Frontotemporal Dementias (ICFTD) in November 2018. 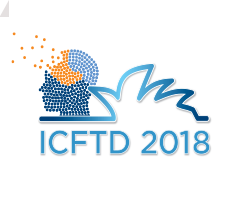 This is the first time ICFTD will be held in the Southern Hemisphere, demonstrating the global nature of the research on frontotemporal dementia and related conditions. Sydney is an attractive destination. It is safe, affordable and has some of the most iconic and well-known landmarks in the world, such as the Sydney Opera House. Register your interest now on our website to receive further information about the meeting. Also see: First International Research Symposium on PSP & CBD at the Royal College of Physicians in London, U.K.